*This post may contain spoilers if you have not read the book or watched the film. As Legends of the Fall kicks off in 1914, three brothers – Albert, Tristan and Samuel Ludlow – are making a trek from Montana to Alberta to enlist in the Canadian forces during World War I. The United States has yet to join the war, but the brothers see it as their duty to fight, so Northward they go. Michigander Jim Harrison wrote this beautifully crafted novella, which was released as a film in 1994. 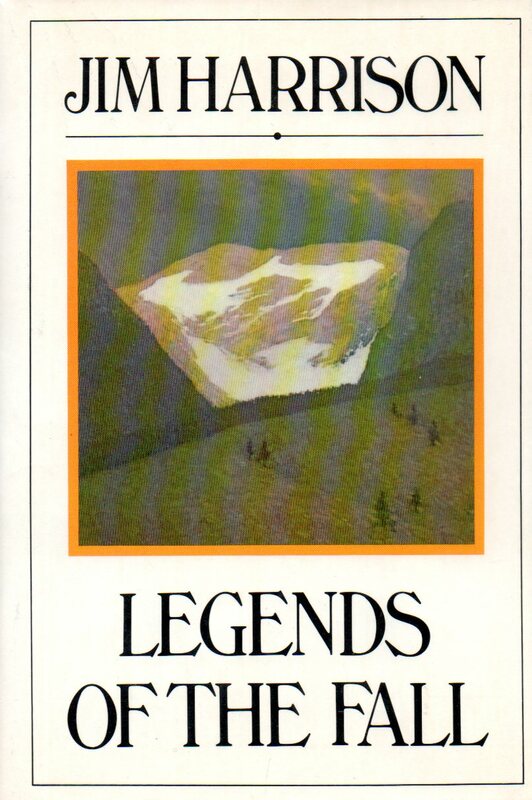 Originally published in 1979, Legends of the Fall is often bound in volumes with two of Harrison’s other novellas, Revenge and The Man Who Gave Up His Name. Beautiful descriptions of the landscape draw the reader in before the drama of the progression of life comes into the novel’s foreground. The next fifty years of the family’s lives are covered in the short span of this written work, though half of the novella is spent in the single year following the brothers’ enlistment. The story is told from an outsider’s perspective, simply describing what is happening to and around each of the characters as time progresses. No direct dialogue is used, and the viewer gets little idea of what is actually going on in the minds of the characters. This can be a bit of a disadvantage to the book. The only death that really gets to the reader is that of Isabel Two, who is portrayed as a kind and innocent young girl, killed in a tragic and violent manner. This outsider narration focuses on different characters at different times. One focus is shifted to another through connections between the characters. For instance, Col. Ludlow is described as receiving and absorbing a letter about his sons while they are off at war, and the story then switches to where Tristan is and what’s going on around him. Though the story is technically about all of the brothers, middle child Tristan definitely comes off as the central character. Most of the major events of the novella are tied back to him in some way, and all of the characters seem greatly affected by Tristan’s actions and decisions. He appears to be the sun of the Ludlow solar system. 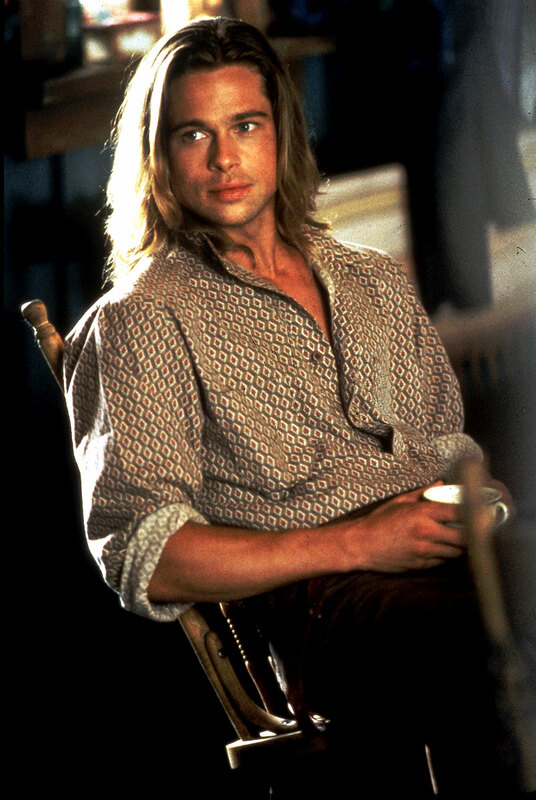 The focus is also very much on Tristan in the 1994 film version of Legends of the Fall, in which the character is portrayed by Brad Pitt. 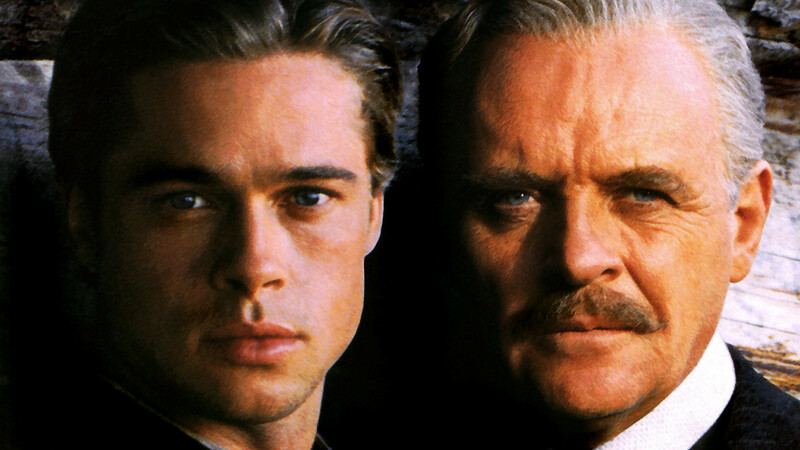 Co-stars include Aidan Quinn as the over-achieving oldest brother Alfred; Henry Thomas as the sweet youngest brother Samuel; Anthony Hopkins as Col. Ludlow, the father of these three brothers; Julia Ormond as Susannah (who serves as love interest to just about everyone); Tantoo Cardinal, Paul Desmond and Karina Lombard as the Decker family, who help out on the family’s ranch; and Gordon Tootoosis as Tristan’s Cree confidant and long-time friend of the family, One Stab. Just as with the novella, the viewer is drawn in by the beautiful landscapes that serve as the stage for all of this family’s struggles, losses and triumphs. Legends of the Fall was awarded an Oscar for its cinematography, and that honor was certainly well deserved. The cinematography is not only very beautiful, but also captures the spirit of those early physical descriptions that Harrison included in his novella. The film takes the Western spirit of the novel even further by downplaying the travels that the family members partake in. The novel, though anchored at the family’s ranch at its heart, shows Tristan traveling all over the world and Alfred moving throughout the country. 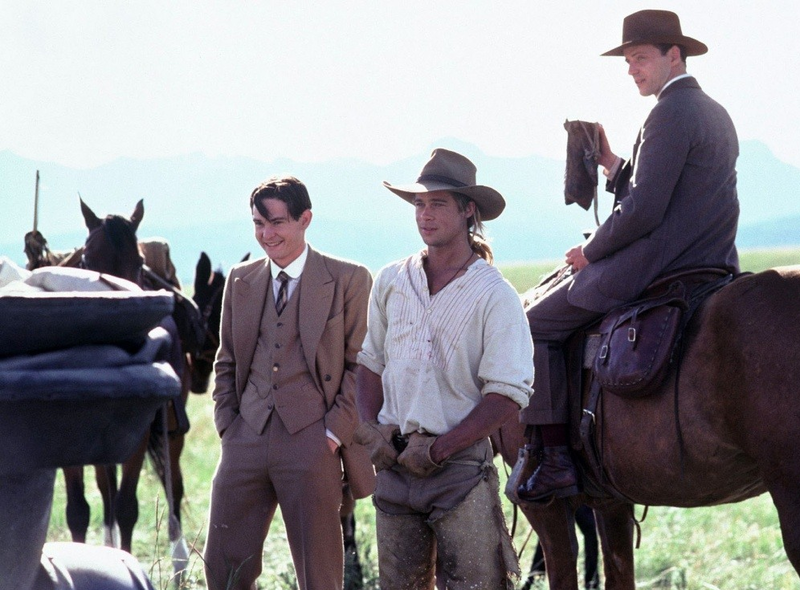 Some of Tristan’s travels are shown and of course the boys leave the ranch when they go to war, but everything is tied back to the homestead, and the film is always sure to show what’s happening at the ranch while the sons are away from home. In a way this does capture the novella in that Harrison often switches between Col. Ludlow’s life at the ranch and what his children are accomplishing elsewhere, but the viewer gets an abbreviated version of Tristan’s adventures in particular. Though the film does stay true to many of the major plot points of the novel, quite a few changes are made in order to make the film more dramatic and engrossing to audiences. The film begins with narration from a now elderly One Stab, giving more back story on the brothers’ childhood and their pre-war lives.This, along with the use of dialogue that was absent in the novella as previously mentioned, helps the story a whole lot. More emotion is present in the film, and the characters have more clearly drawn personalities. This makes them more likable and endears them to the audience, as well as allowing the viewer to become more emotionally invested in the relationships. Once the brothers do head off to war, tragedy strikes just as in the book when Samuel is killed. The way that he dies remains the same – blinded by mustard gas and then shot by opposing forces – but the movie heightens the sadness of this scene by having Tristan present during the death. In the novella, Samuel is killed while off on a mission and Tristan, still at the military’s camp, doesn’t find out until later. In the film we get to see all of Tristan’s anguish as he attempts to save his brother and realizes that he can’t. The character of Susannah, introduced later in the novel as a love interest to Tristan, is paired with Samuel very early on in the film. This eliminates Samuel’s brief love interest (a local girl who only gets a page or so of attention from Harrison) from the novel, instead adding further complications to Susannah’s ties to the Ludlow family. The novella uses Susannah as a love interest for Tristan who then gets her heart broken by him and marries Alfred, exacerbating the already tense relationship between the two brothers. Bringing her in much earlier as Samuel’s love interest gives Alfred even more reason to feel torn over Susannah and the relationship that she has with Tristan (which Alfred is convinced began before Samuel passed away). Needless to say, there is high drama emitted from this love quadrangle. The ending of the film is also quite different in comparison to the novella, though the viewer and reader are left with the same general mood and impressions by the end. There are a number of other small changes made throughout the film as well, though they don’t cause such large shifts in the lives and mindsets of the characters as the changes discussed above. As for casting, the actors are all successful in their roles. I’m not particularly a fan of any of these performers, but they all suit the characters very well and do a great job of bringing the novella to life. Legends of the Fall is an epic, melodramatic western wartime romance no matter which way you absorb it – through text or through images. However, the 1994 adaptation of Jim Harrison’s written work takes the essence of the story and brings it to new heights, making it quite a bit more enjoyable than the novella in my mind. I’m glad you brought the quote in. I respectfully disagree with your evaluation that the movie is better than the book – that book knocked my socks clean the hell off – but great review. I really enjoy both the film and the novella, so I didn’t mean to devalue the novella at all by saying that I enjoyed the film a bit more. Thanks for sharing your thoughts and reading my review! Ive watched this movie and i love it very much.full of courage and tears.but i dont read the book yet.ive searched for it every bookstore,but couldnt find it yet.maybe sometimes. I hope you find it eventually. It’s a good read!